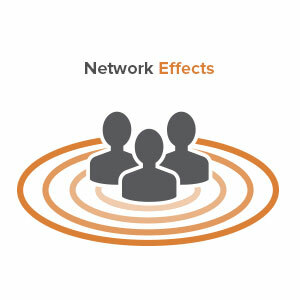 Yet what IS a network effect? How do we untangle the nuances of ‘network effects’ with ‘marketplaces’ and ‘platforms’? What’s the difference between network effects, virality, supply-side economies of scale? And how do we know a company has network effects? Most importantly, what questions can entrepreneurs and product managers ask to counter the wishful thinking and sometimes faulty assumption behind the belief that “if we build it, they will come” … and instead go about more deterministically creating network effects in their business? Because it’s not a winner-take-all market by accident.